Sometimes it is necessary to add a third vanishing point. 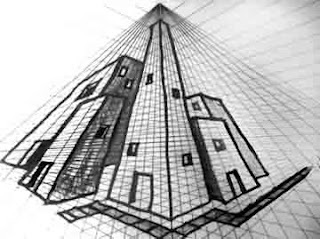 Use three point perspective when you are close to a building (or geometric form) and looking up and when you are close to a building (or geometric form) and looking down. Now you are ready for the advanced stuff; drawing in three point perspective. in magnificent three point perspective. The 'up and down' lines are no longer vertical. Instead the converge at a vanishing point above the horizon line. 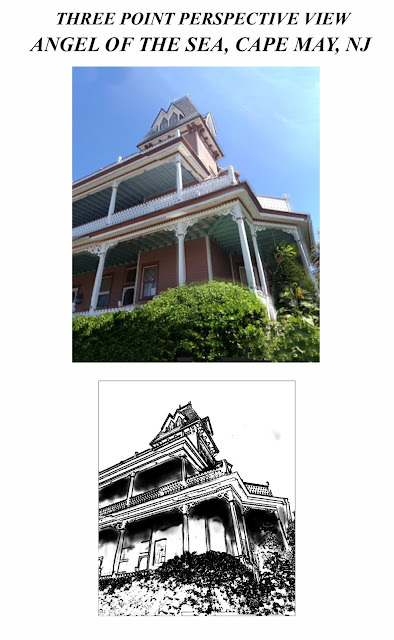 Print out two copies of the black and white image above and follow the step by step tutorial below. 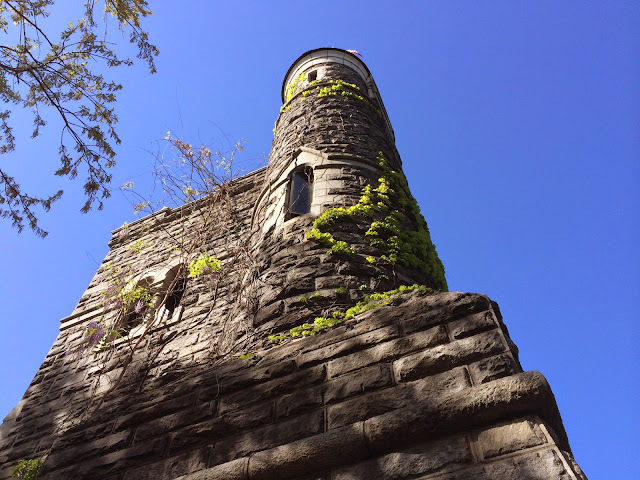 In just a few short, easy steps you will be able to draw a 'worm's eye view' of this tower in three-point perspective. Draw your perspective lines with a ruler directly on top of your first printout. Leave the other printout unmarked so you can refer to it later, when drawing your own tower. 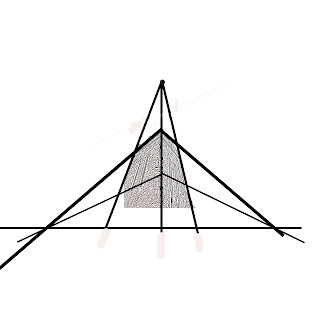 Extend the lines of perspective to determine the two vanishing points. Connect the two vanishing points to create your horizon line. Once you have drawn these lines directly on the worksheet it will be easier for you to draw the tower in three point perspective. Why does it work? If you are standing close to a building and looking up, you create an optical illusion that all the vertical lines of the building are actually converging. Your nearness to the buildings is creating that optical illusion. If you were far away,the lines would appear vertical. The farther away from a structure you get the more vertical the 'up and down' lines will begin to appear. 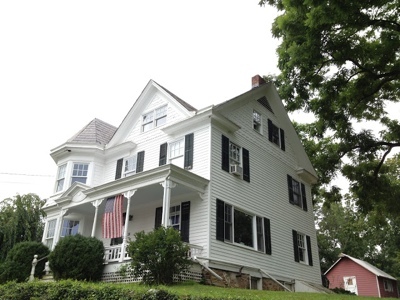 The vertical lines of the house actually converge at a point far above the top of the picture. To learn how to draw a person in three-point perspective from a worm's eye point of view click here and here. 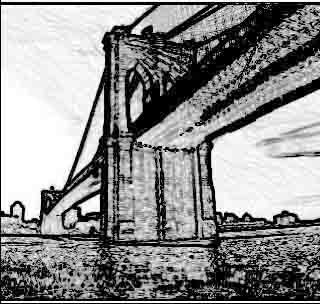 This is a three point perspective view of the Brooklyn Bridge. 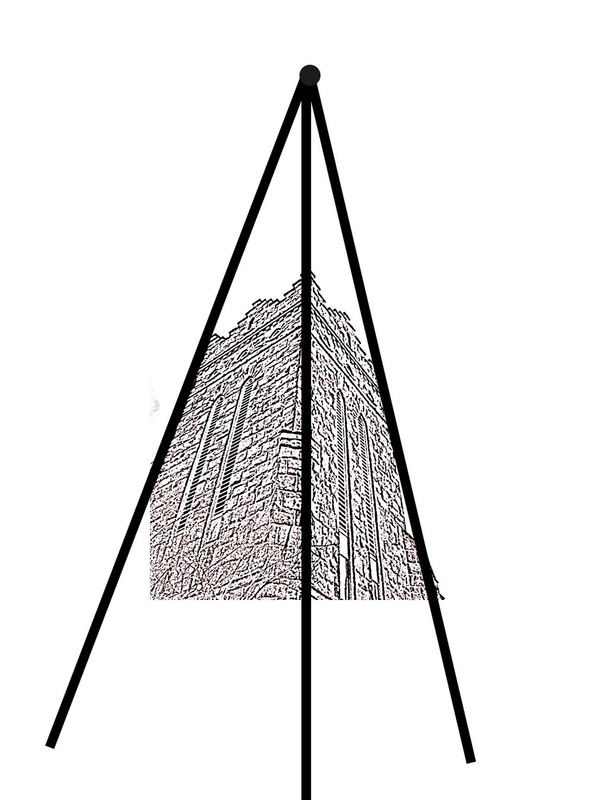 The 'up and down' lines are closer to vertical than in the picture of the tower (because the viewer is farther away). However, if you were to extend the lines they would eventually meet at a vanishing point far above the horizon. Try printing out this gray scale version of a worm's eye view of the Brooklyn bridge and gluing it to a very large piece of paper. Extend the lines to find the vanishing points and horizon line. How far above the horizon line is the top vanishing point? 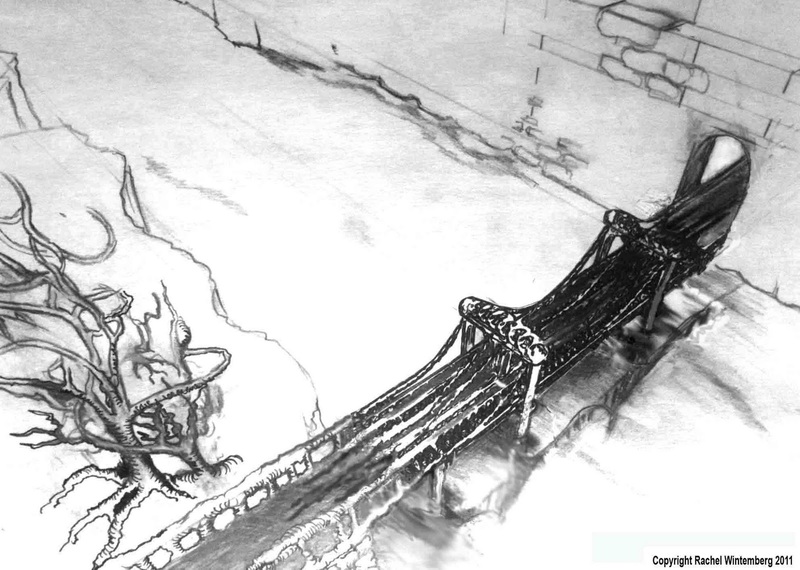 Try drawing the bridge in two point and three point perspective and compare the two sketches. Which version looks more dramatic? Show the two sketches to a friend and ask them which one they like better. Chances are, they will find the three point perspective drawing more dramatic and interesting (even if they can't tell you why). 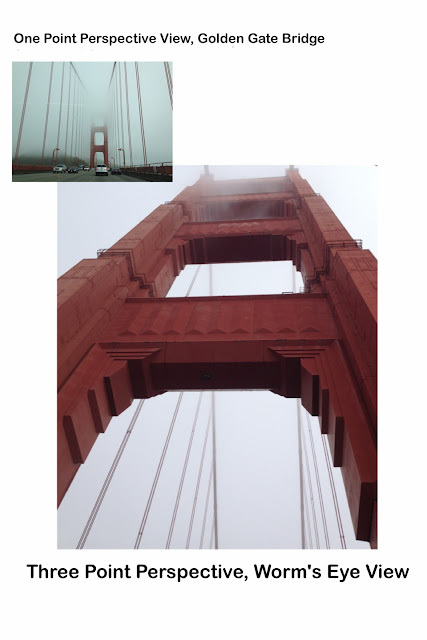 Golden Gate Bridge, San Francisco, California, comparison of one point perspective and three point perspective (worm's eye) views. 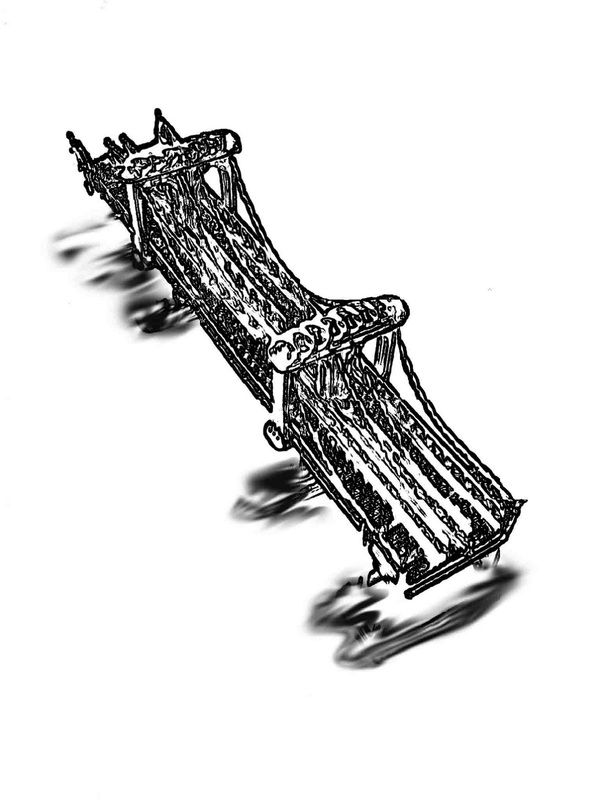 *For information on designing and building your own model bridge, click here. You can also look to your right, at the 'some useful links' section of this website for information about bridges and bridge design. Some students find it is easier to draw in three point perspective using a worm's eye view three point perspective drawing grid*. Other students find it easier to just use a ruler and draw their own grid lines. If you print out the grid below you will not need a ruler at all. Just start darkening in the existing lines and, as if by magic, you will find that you are easily able to create three point perspective cubes. Amaze your friends! Try overlaying a thin piece of paper and tracing the lines to make three dimensional cubes and rectangular solids (or use a light table). The grid is already sized to fit letter sized printer paper, just right click on the image, select the print option and choose 'landscape' before hitting print. If the vanishing points are cut off, try choosing the 'fit to page' option before printing. from a worm's eye view in three point perspective. Follow almost the same rules for a 'birds eye view' drawing. The only difference is now the third vanishing point is below the horizon. Try it. Print out the following 'birds eye view' worksheets and see if you can find the horizon lines and three vanishing points. Just use a ruler to extend the lines. First, click here for directions on how to draw a cylinder in two-point perspective. Next, print out this picture of a soda can. Then see if you can apply what you know. Remember, you can draw just about anything in perspective by first drawing the 'box it came in'. Ready for an additional challenge? 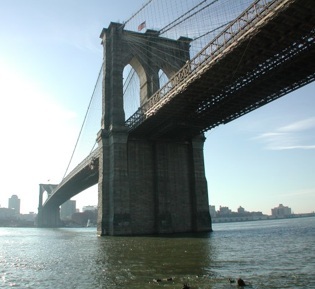 Can you draw a suspension bridge from a bird's eye view, using three point perspective? 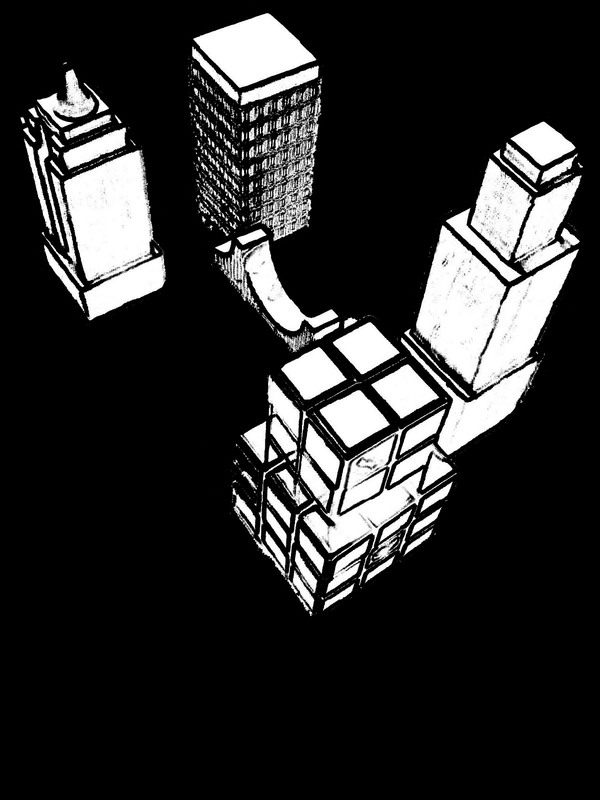 Use these simplified three-point perspective 'bird's eye view' buildings to get started on a 'bird's eye view' cityscape. 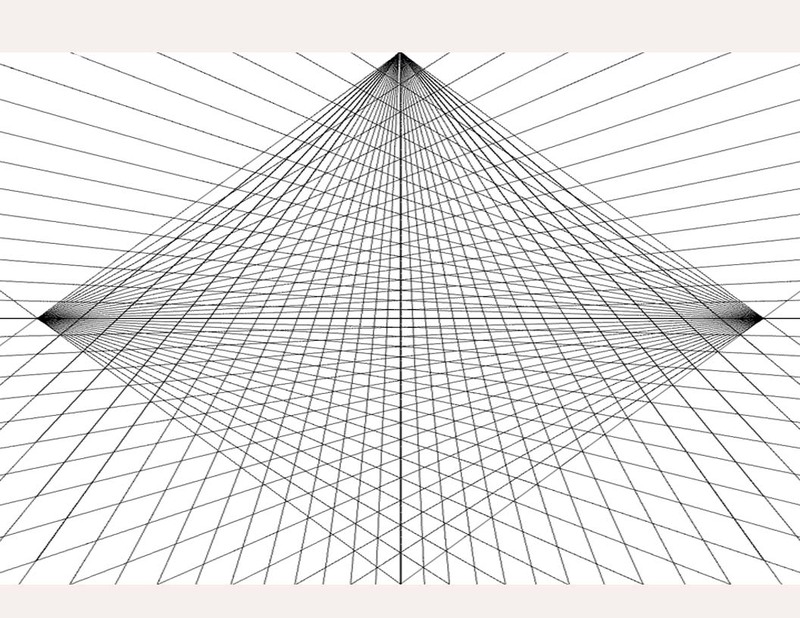 Print them out and extend the lines to find the three vanishing points and the horizon line. Try creating an entire city from a bird's eye view in three point perspective. or you can use them as inspiration for original 3D building designs. You can even cut them out, glue them on to a large piece of paper and draw a three point perspective landscape or cityscape around them. 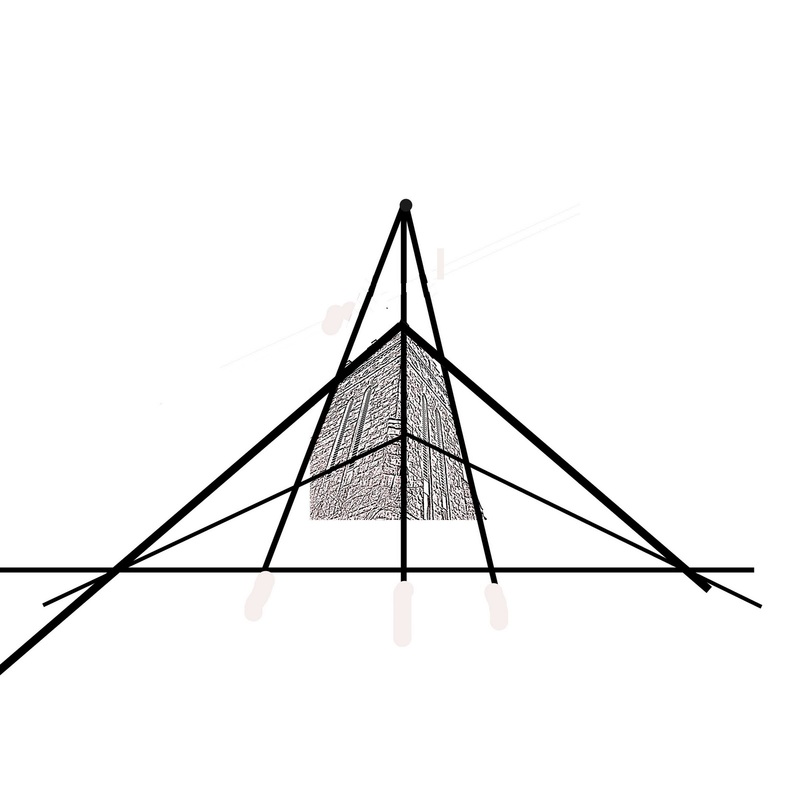 Just extend the lines to find your three vanishing points and use those same vanishing points to creat all the other structures. When you combine photographs with drawing (or other graphic media), you are creating a 'photomontage'. 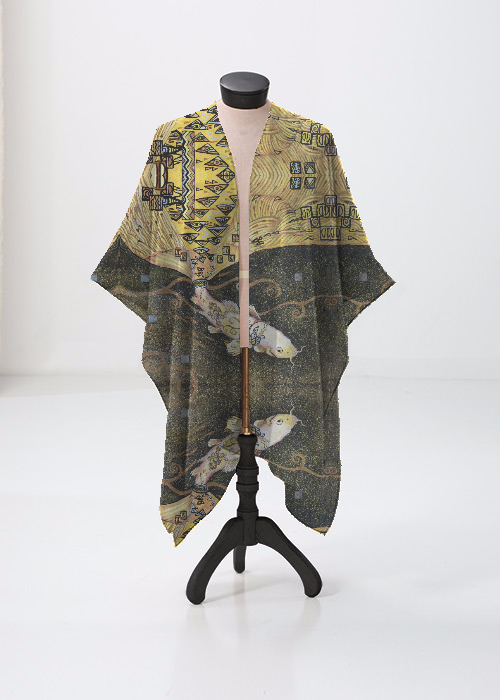 Artists commonly use photomontages in illustrations and advertisements. If you would like to use several of your own photographs to create a convincingly realistic photomontage, then you need to use photographs taken from all from the same perspective. When you are done with this tutorial, set up your own bird's eye cityscape to photograph and draw. Use small boxes, children's blocks, toy buildings,toy cars and whatever else looks right. Since birds do not fly perfectly parallel to the earth at all times, do not expect the 'bird's eye view' horizon line to always be horizontal. If you extend the lines of the left facing and right facing sides of the buildings you will find the two vanishing points that define the horizon. Connect the two points, even if that means your horizon line is angled. Imagine your picture was taken from the viewpoint of a soaring bird. *I prefer not to use a three point perspective drawing grid for the bird's eye view. It prevents the artist from using an angled horizon line and forces the composition to be too static. All the bird's eye views here have angled horizon lines to give them more dynamic compositions. 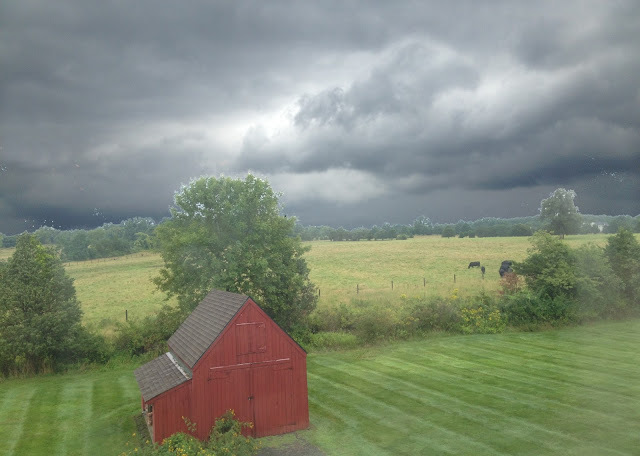 The vertical lines of the barn actually converge at a point far below the bottom of the picture. thanks mate! cheers for the new year! Thanks for finally giving me some clarity as to how to draw perspective. Tutorials on the web do not compare. Wow! Blushing. You are welcome. My pleasure. It's in point of fact a great and useful piece of information. I am satisfied that you just shared this useful information with us. Please stay us informed like this. Thank you for sharing. I think the grid is a great way to help students draw 3-point perspective. I am going to print this out for my students to use. Thankyou so much! We're doing this in class right now lol, whose here for Assink. Can I draw this question in three point perspective? : You are on the balcony of your apartment on the 2nd Floor and you are talking to a vegetable vendor with a push cart in the parking lot below, it is mid morning draw the view with shadows. Thank you so much. I'll be sure to do that. You've really helped me understand how to use three point perspective. nice one... a lot easier..
i still don't get it, but at least i have an idea of this three point perpsective.... i was absent during it's discussion for i have to go somewhere else.... what a mess!!! thanks for this, now i understand it a little bit..
helooo it looks really cool and its super helpful. Could you tell us how to draw people from a worm's eye view? Could you show us how to draw a person in a worm's eye view? Sure but it will be in a separate post. I will make up a worksheet with pictures. In the meantime grab your camera, get on the floor and take a few photos of people, looking up at them. Think of the human body as a bunch of stacked cylindrical forms. The body would be foreshortened if very near the viewer, due to the extreme angle. I hope that helps. Worksheet coming soon. I just found this worksheet online. I hope you find it helpful. I added a tutorial on how to draw people in three point perspective. There is now a hyperlink to it at the bottom of the post. I do hope you find it useful. This is great........thanks for your hard work, and for the links!! I find this difficult to understand, the birds eye view is confusing and I cant draw it. If you try to take short cuts it will get very confusing. You need to be 100% comfortable with one and two point perspective first. Then download the three point perspective grid and draw the 'worm's eye view city' as pictured above. If you skip right to birds eye view three point perspective without doing the previous lessons you will definitely get confused. The hyper link to my article 'Perspective Drawing 101' is at the beginning of this article for a reason! You are trying to put the cart before the horse! This is awesome! We're learning about perspective at the moment for Compositing in Film, and this is so helpful! Thank you! ma'am feel quite comfortable while drawing birds eye view,but unable to understand worms eye view. my exams are approaching ,I seek your help urgently. Can you help me to sketch a living room from bird's eye view!! Buenos días, " The Helpful Art Teacher " y visitantes, me llamó poderosamente la atención de que usarás, en la perspectiva de tres puntos de fuga, toda una red, en casi todo el plano, para montar los diferentes edificios, muy buena estrategia de enseñanza. Gracias por compartir. I've seen a new perspective with this post - literally! That's what I was looking for, thank you! Really very nice article post, thank you. Loved the images, i actually like the among tthis image, perfecto. Saved as a favorite, I really likke your site! Great Web-site, Stick to the fantastic work. Thanks a ton.